Yet another connection between ALEC and fossil fuels, this time "clean coal". 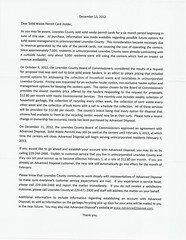 I received the appended unsigned letter from Lowndes County recently, which says the 5,000 residents of the unincorporated parts that currently use the county's waste disposal sites can sign up with Advanced Disposal (of New York City) for curbside pickup or.... There is no or. So look forward to trash dumping long roadsides, in parking lots in town, and on your property. And neither outgoing County Chairman Ashley Paulk nor County Manager Joe Pritchard even had the courtesy to sign the letter. At purchase, information was made available regarding possible future options for solid waste management in unincorporated Lowndes County. So the county is backing off from claiming card buyers got a letter spelling out options. I got no such letter with card purchase. This consideration became necessary due to revenue generated by the sale of the permit cards, not covering the cost of operating the centers. "In total, the county is currently spending $782,058.34 each year for solid waste disposal, a reduction from $1,176,207.75 in 2007." As I pointed out then, "So that's a rapid reduction in cost to less than a third of what it used to be, and less than half of what it was only a year ago." Later Joe Pritchard said those numbers didn't include everything being spent. So what was actually being spent? We the taxpayers and we the card payers don't know. After a long series of meetings to which the public was either not invited at all or was not invited to provide input, at its last meeting of the year (exactly as I predicted), Commissioners approved changes to the solid waste ordinance eliminating the collection sites and granted a monopoly to Advanced Disposal Services of New York City. Former Chairman Ashley Paulk recently complained Moody AFB had become "privatized". 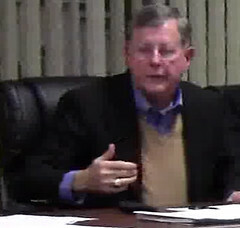 Yet at his last Commission meeting he presided over privatizing the county's public service of solid waste collection. Three new Commissioners were just sworn in yesterday, including a new chair. The new Commission in the new year is not, so far as I know, bound by the decisions of any previous Commission. It could undo the damage the old one just did. Or it could, like the old one, ignore concerns of public health, safety, and the environment that the state requires them to implement, plus concerns of local waste collection businesses, of local residents about recycling and about the lack of any other option than curbside; will the new Commission continue to kick 5,000 county residents towards curbside collection or tossing their trash in the your yard? The Industrial Authority is working to find locations for some of the 210 MW Georgia Power got the PSC to shift from biomass to solar back in September. That's a good next step. Since the Georgia Public Service Commission (PSC) approved Georgia Power Company's plan Nov. 20 to add 210 megawatts of solar power to its electrical grid, the Valdosta-Lowndes County Industrial Authority has been devising strategies to draw solar energy producers to South Georgia. Education at Wiregrass Tech, startup competition and awards by Guardian Bank, and more! Chamber president Tim Jones invited me to the quarterly luncheon of the Valdosta-Lowndes County Chamber of Commerce, held 18 December 2012 at the Rainwater Conference Center. I counted about 70 people there, and only maybe a dozen were Chamber board and staff, so that was a very well-attended meeting. "Strong education systems are the heart of economic development." He congratulated VSU on the recent football win, as well as the various other local school systems, government bodies, and businesses, and proceeded to give an overview of what Wiregrass Tech is and what it does, which includes everything from automobile repair to computer science; from adult education for high school equivalency to advanced courses, in the eleven counties it serves, through the campuses in Valdosta, Fitzgerald, and Adel, as well as at Moody AFB and online overseas. He noted that changes in the HOPE scholarship and economic improvement had decreased enrollment, but Wiregrass Tech still has a large student body and is adding programs, such as in nursing and respiratory therapy. Plus a 97.5% placement rate. Also in the plans is an Allied Health Education building 100,000 square foot facility that would cost about $20 million, for which Wiregrass Tech will be approaching the Georgia General Assembly in the next few years. Dr. Perrin invited feedback and requested assistance, both financially and in getting the word out about what Wiregrass Tech can do. Here's a video playlist of the entire meeting, followed by a few notes. Fracking: coming soon to a state near you? Lest you think fracking is something that happens only in faraway places like Alberta or Pennsylvania, look at this map of North American shale gas basins, extending right through the Appalachians from Pennsylvania through West Virginia, Virginia, Tennessee, and North Carolina into Georgia, Alabama, and Mississippi. by Lynn Herrmann for Digital Journal 5 January 2012. How long before Georgia Power or Southern Company decide natural gas would be even cheaper if they fracked in Georgia or Alabama or Mississippi? How long until unavoidable human error starts fracking polluting our local groundwater and rivers? For that matter, isn't it bad enough already that other people's water is fracked for cheap gas in Georgia? We could just get on with solar power, which doesn't spill. 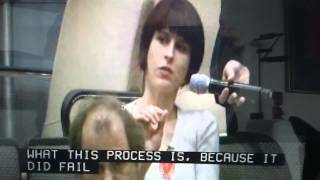 After Kendra Ulrich of Friends of the Earth asked about some licensee documents related to last week's NRC hearing in faraway Maryland on restarting California's San Onofre nuclear reactor, NRC's David Beaulieu expanded on NRC's refusal to divulge the documents. You can hear him say it's "never been a practice" to let the public see licensee documents. But if they're being used in making a license decision, why doesn't that make them public documents accessible by the public? Oh, right "it's very complex" but "it's a yes or no question" and "I will assess", he says. It's good to be king! I wonder if the public had some assurance of transparency maybe the NRC wouldn't get so many FOIA requests? Remember, this is the same NRC that gave 100-mile-from-here same-design-as-Fukushima Plant Hatch a 20 year license extension, and the same NRC that gave Plant Vogtle a clean bill of health at a public meeting two days before Unit 1 shut down, and the same NRC that could stop the new nukes there even if the GA PSC won't. And now for some good local news: Valdosta City Clerk Teresa Bolden has been recognized by an international institute. City of Valdosta Clerk Teresa Bolden has earned the designation of Certified Municipal Clerk (CMC), awarded by the International Institute of Municipal Clerks (IIMC), Inc. IIMC grants the CMC designation exclusively to municipal clerks who complete the demanding education requirements and who have a record of significant contributions to their local government, their community and state. As an example of Clerk Bolden's work, here is baldosta's apparently complete online list of ordinances. What do you get in a solar spill? A sunny day. What do you get in a fracking spill? Polluted groundwater and drinking water. When do you get it? Whenever somebody makes a mistake, which turns out to be frequently. "There is no amount of regulation that can overcome human error," said Alberta's Energy Resources Conservation Board (ERCB) spokesman Darin Barter. ERCB released an investigation report that cites inadequate management of risks as one of the main causes of a September 2011 accident that contaminated groundwater with toxic hydraulic fracturing chemicals, including the cancer causing agent known as BTEX (benzene, toulene, ethylbenzene, and xylene). Personnel from Crew Energy told the Calgary Herald the company is "embarrassed" about the accident. Rob Morgan, chief operating officer for Crew said, "there's no question of our appreciation of the severity of this," adding, "pretty much all of the personnel who were involved in this particular circumstance are no longer with the company." But the groundwater is still contaminated. And where will they find replacement personnel who will never make mistakes? Meanwhile, a solar spill is called a nice day.